Recent Posts How Do I Know The Current Condition Of My Surgical Tables? Whether you are a minor surgery clinic with one operating room, or a large hospital with fifteen operating rooms, knowing the current condition of your surgical tables not only allows you to foresee any functional issues and budget accordingly, but it also gives you peace of mind. Throughout the years at Meditek, we’ve done equipment assessments (InSight) for both large scale and small scale operations. Our most recent large scale was a health authority in Western Canada, where we inspected around 100 surgical tables in a 10-month period. Before that, we did another large-scale InSight program with a health authority in Central Canada, which lead to replacing a some of their surgical tables through our ReNew remanufacturing program, essentially saving them hundreds of thousands. In this article, we are going to show you how InSight works, and what you can expect to get in return, with a real-life example. Can I get my biomed or maintenance staff to find out if my surgical tables need repair? One of the first questions we always get when we talk to potential recipients of InSight is why can’t they just do it internally. A valid question for sure. Our technicians have specialized in surgical tables since 1981. Our expertise on all the major brands and models of OR tables is unparalleled in Canada. They know what to look for and are experienced with the quirks and idiosyncrasies of different makes/models. Our technicians have all the tools. Remanufacturing surgical tables is a core part of our business. It’s what we were founded on. We make sure that our technicians have the tools they need to get to the areas of the surgical table they need to get to for inspection. Not all Biomed or maintenance staff are created equally. We’ve seen firsthand that the duties and responsibilities of biomed and maintenance staff differ from province to province. Because of that, you’ll always get a different set of skills and knowledge. With Meditek, we don’t deviate. We have our process down. It’s the same standard of due diligence and excellence every time. Inspecting a surgical table properly takes time. There’s a good chance that your biomed or maintenance staff are already overworked. There are distractions that can lead to improper due diligence. Our InSight program focuses on one thing – the surgical table. We go there to do a very specific task and that’s all we are doing. What is the breakdown of what you look at during an assessment and how are they scored? We have identified the main areas that are most important to surgical tables. As well, we’ve also included mandatory test points based on the most common problems with surgical tables that we’ve witnessed over the years. Specific test points and checks make up each section. There are five main scoring criteria. What does each section include? We’re going to list what each section includes, but keep in mind that each test point could have multiple angles to it. For example, Cushions & Velcro® could be any number of things, such as cushions starting to tear; Velcro® in bad shape or coming off; cushion patches coming off. Every time that our technicians put attention required, they accompany that test result with a comment. Download the real-life case study at the end of this article to see a sampling of the results and comments based on approximately 100 tables. What else does the InSight assessment include? By this point in time, you might be thinking to yourself what else can be included in the assessment, as you can see it’s already pretty comprehensive. There’s some standard info that goes into each report, which helps to organize them for easy processing and reference. Having all the results and the comments is great. But the question becomes how do you interpret all of that information? Each InSight assessment comes with a Summary of Inspection section. This is where our technician will sum up the condition of the table in a few sentences and give you a recommended course of action. For quick reading and decision-making, you could easily just skip to this section of each report and know right away what needs to be done. The last thing that each report has is pictures. Pictures will substantiate the test results and scores, as well as give clarity to the comments. This is super important as it builds trust and credibility in our InSight reports. You’ll be assured of the accuracy of our findings. What are the benefits of having an InSight report done to your surgical tables? It might be a bit cliché, but we’re going to use another car analogy to explain this because everyone can relate to it. Every car nowadays comes with technology that tells us when something is wrong with our car. Your oil light tells you that the oil is low or possibly needs changing. Your low-pressure tire gauge tells you that a tire needs air. The always-scary check engine light tells you that something is wrong with the functionality of your motor, and it’s probably not going to be cheap. You get the picture. Now imagine if we didn’t have those warnings to let us know what was happening in the moment with our vehicle. We would seize the engine by running out of oil. We would ruin our rims when the air in the tire ran out, or possibly get in an accident. We may have a break down on an empty highway at night somewhere between Lloydminster and North Battleford because we didn’t know something was wrong with the transmission…but we digress. You get peace of mind knowing exactly what is going on with your table right now – not later when it’s already broken down. You get the information you need about each one to make a critical decision of doing nothing, fixing it, or replacing it. You’ll be able to estimate costs for each individual table, as well as how soon you need to take action. If you’re assessing on a large scale, think of the additional savings you can create by consolidating parts and service. As well, you know how tight budgets are. This can be an essential planning and credibility tool for your funding requests. Can you imagine the value of being able to create a specific surgical table budget and plan for the future? Probably the most important thing you’ll get out of this is that you’ll be able to preventively avoid any injuries to patients or staff caused by malfunctioning tables. In addition to everything else and the cost savings, think about the resources you’ll free up by having that plan in place. 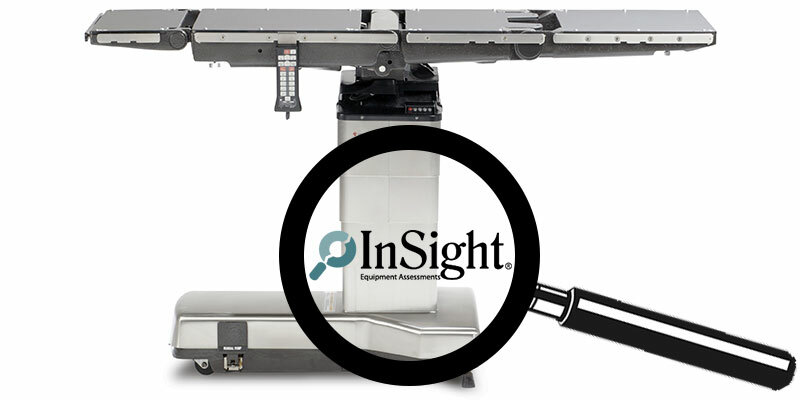 The Meditek InSight equipment assessment program can be performed on any make or model or brand of table and we stock 100’s of parts and supplies for operating tables. We provide new Skytron tables to all of Western Canada as the exclusive distributors. 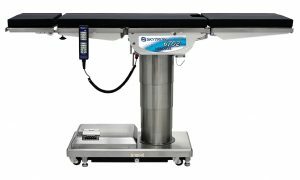 As well, our ReNew program puts us in an advantageous position to be able to offer any surgical table brand and make across Canada. Call us anytime, we’re always willing to help! It’s easy for us to tell you about the program and all that it encompasses, just as easy as it is for you not to fully see the insight it provides.